Chaminade Robotics is a multifaceted club catering to student interest and talent but which also exists to promote STEAM ideas as well as FIRST Robotics. Through its community involvement, Chaminade Robotics members mentor elementary school students and bring mechanical, electrical, and coding skill to an approachable and tangible level. The members of team 2634 have the unique ability to take curriculum from their classrooms and utilize their constructed knowledge to solve 21st Century, inquiry-based problems in a collaborative setting with a lateral system of respect. 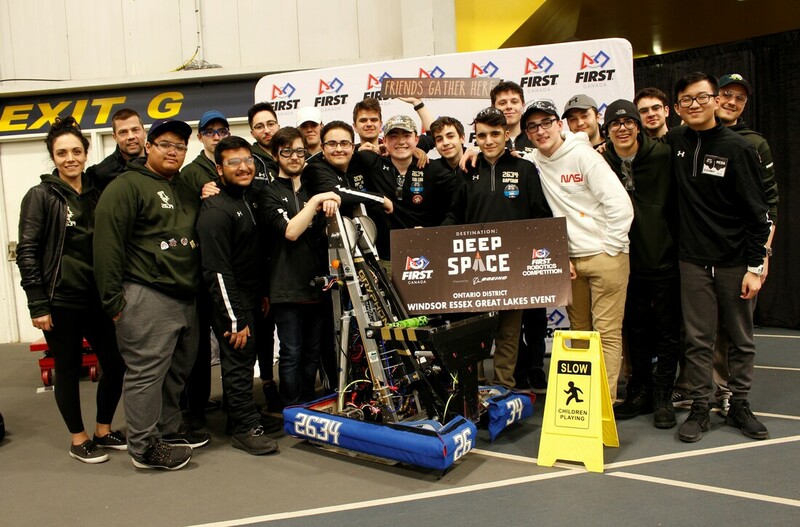 Robotics not only challenges the boys academically and intellectually, but it also allows them to build life-long friendships, connections, and build skills necessary for success in the future.